Several extremist Israeli colonizers attacked, on Thursday evening, a Palestinian teenage boy near the al-Fandaqumiya village, south of the northern West Bank city of Jenin. 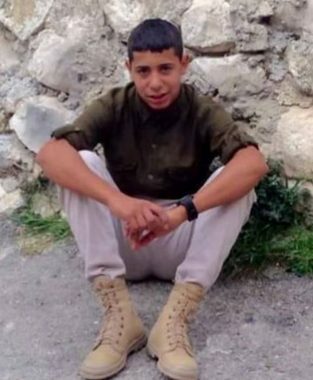 The teen, identified as Eyad Abdul-Rahman Salama, 16, was picnicking with his friends in the mountains of Sielet ath-Thaher town, west of Jenin when the colonizers attacked him, causing various cuts and bruises. The attack took place in the area were the “Homish” evacuated illegal colonist outpost was built.